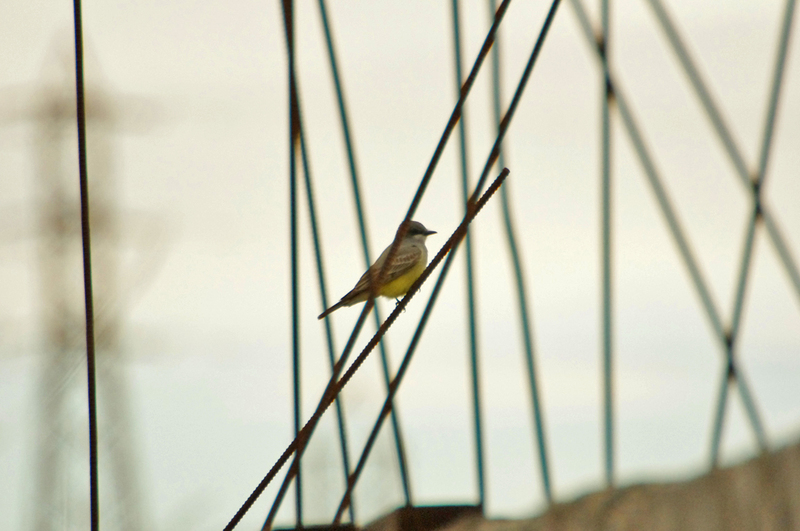 A conspicuous and aggressive bird of open country, the Western Kingbird is common throughout the western United States and southern Canada. It is often found around human habitation, and frequently uses telephone poles, fence posts, and other man-made structures for nesting. 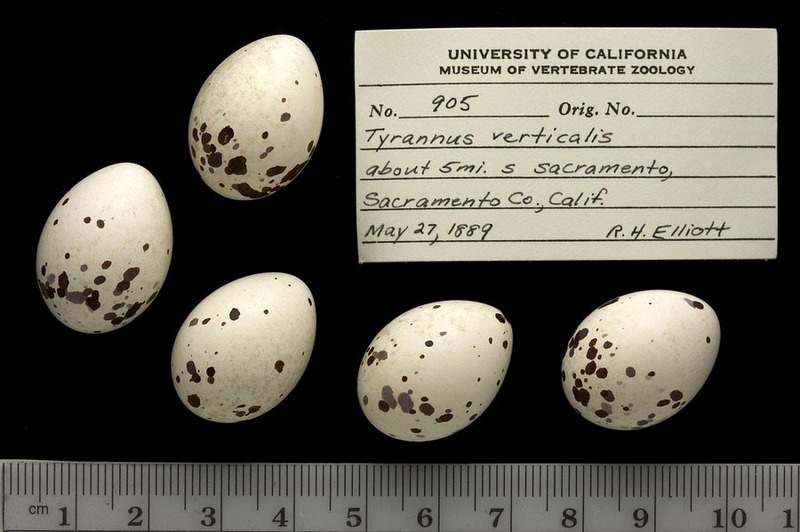 The breeding range of the Western Kingbird has been expanding eastward for the last 100 years. It has been associated with tree planting across the Great Plains. It was unknown in Florida until about 1915, but has become a regular winter visitor since then. 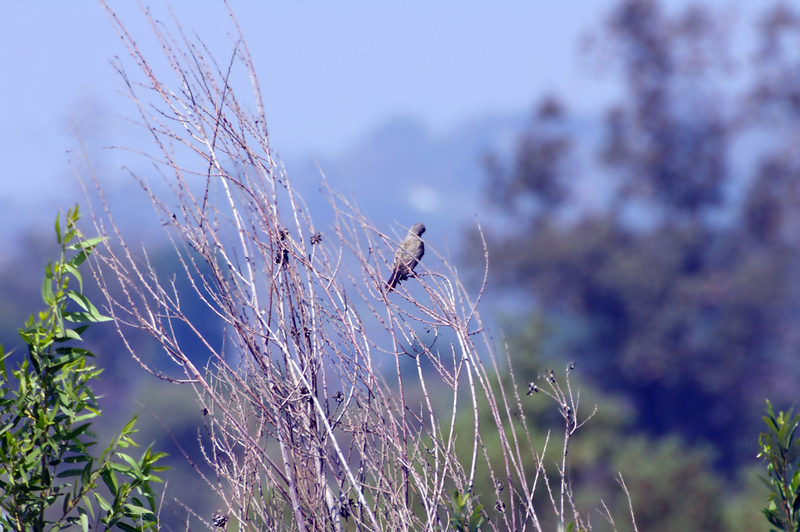 A Western Kingbird pair defends a rather loosely defined territory against other kingbirds. After pairing takes place they defend a smaller and smaller territory. By the middle of incubation the territory is quite small, concentrated primarily on the nest tree and nest. 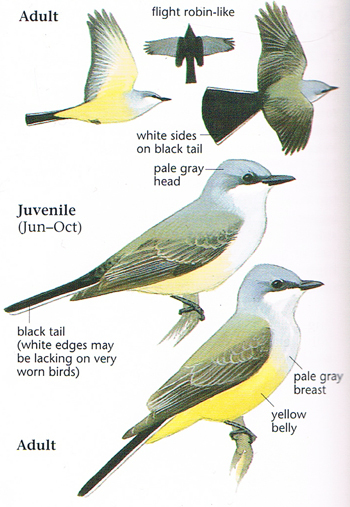 The Western Kingbird is regularly noted in the fall along the East Coast, from Newfoundland to Florida. Individuals are seen in some coastal spots every year. Spring records, however, are rare. Black square-tipped tail with white outer feathers. Juvenile similar to adult, but paler, wings edged with buff, crown without orange feathers. Prefers open habitats with trees, shrubs, or tall man-made structures. Habitats include grassland, desert shrub, pasture, savanna, and urban areas. Captures most prey by aerial hawking from an elevated perch. Also grabs insects on ground and off vegetation. Flying insects and some fruit. 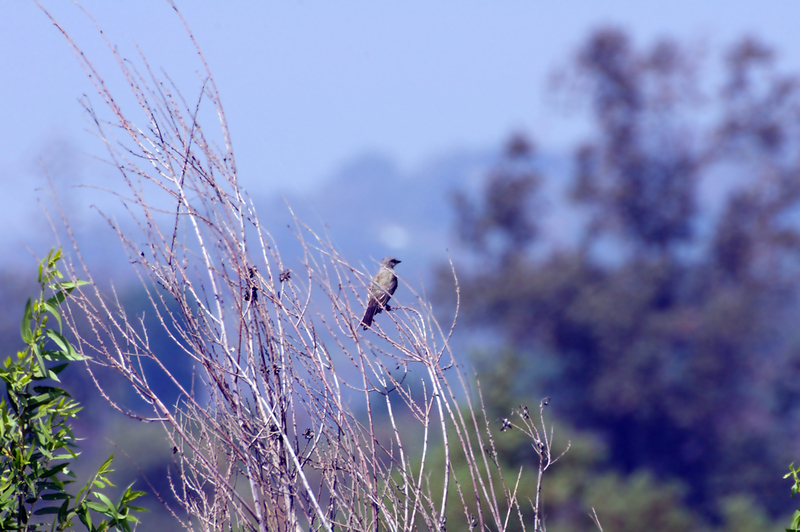 Similar to Cassin's, Tropical, and Couch's kingbirds. Cassin's has darker gray head, back and breast; more contrasting white chin, and white tip to tail. 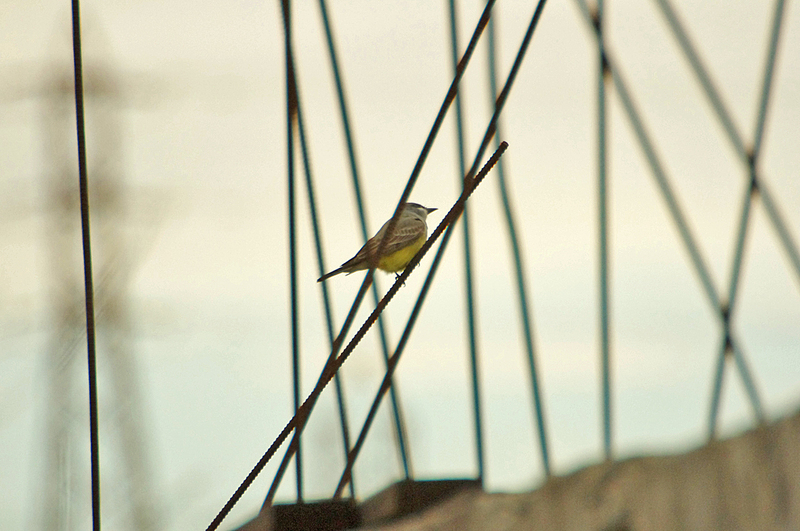 Tropical and Couch's kingbirds have no white in tail, yellower chest, and larger bill. Song a series of "kip" notes followed by series of high-pitched fussy chittering notes. Common call a sharp "kip" note. Gamble, L. R., and T. M. Bergin. 1996. 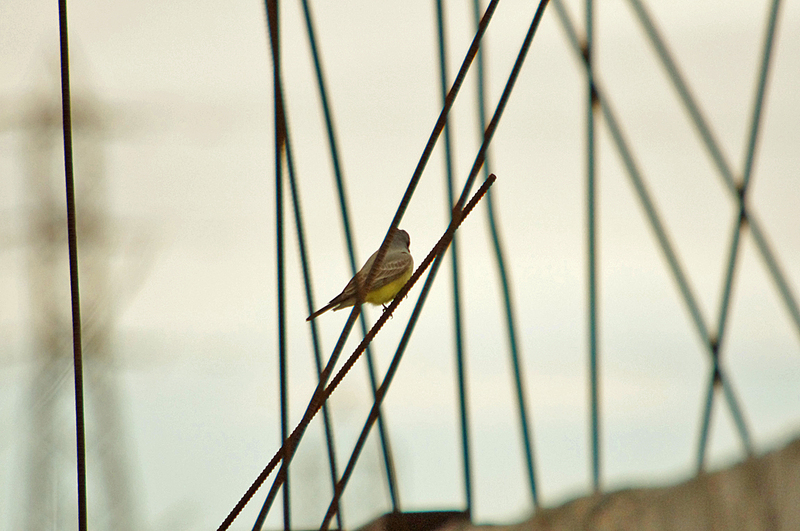 Western Kingbird (Tyrannus verticalis). In The Birds of North America, No. 227 (A. Poole and F. Gill, eds.). The Academy of Natural Sciences, Philadelphia, PA, and The American Ornithologists' Union, Washington, D.C.